Creating a beautiful smile doesn’t necessarily mean that you’ll need a mouth full of porcelain veneers. Often, Dr. Xu can rejuvenate a smile by focusing on a few problem teeth using minimally invasive and less costly dental procedures such as composite bonding in combination with cosmetic whitening. 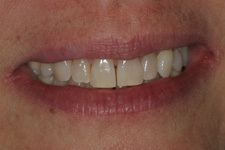 Creating a major transformation while preserving more natural tooth structure for a less money than you ever thought. 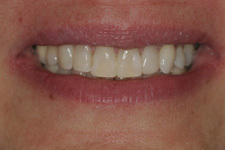 The following are the before and after photos of using composite bonding to correct middle space in 40 minutes time.